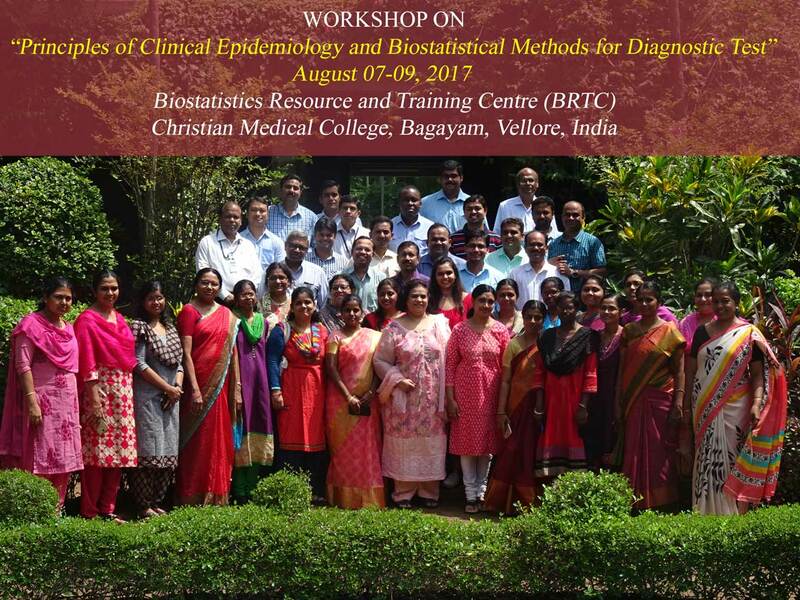 To provide a comprehensive training for medical college faculty and IRB members in basics of Clinical epidemiology / Evidence Based Medicine (EBM) and basic of biostatistical methods for diagnostic test. To empower them in using softwares for the above topics. To provide them with course binder to enable them to do further training. Local hospitality (Local Accommodation, Course Fee and Food expense) will be borne by the organizer for only 40 Participants. However, participants will have to bear their own expenses for travel. The participants will be given sample size calculation software nMaster 2.0 and Diagnostic Test software Dx-Test free of cost (developed and validated at the Biostatistics Resource and Training Centre (BRTC)). Refresh on Measures of Disease frequency. Measures of Risk (RR, OR), Number Needed to Treat (NNT) and Number Needed to Harm (NNH). Refresh on Study Designs and Sample size calculation and PICO. Design and Sample Size Calculation. Critical review of a Clinical Trial. Basics of Diagnostic Test. Serial and Parallel Test. Critical Review of a Diagnostic Test (STARD Guidelines). Understanding ROC Curve. How do we choose the best cut off. Concepts of screening and confirmatory tests. Reliability: Kappa, Weighted Kappa, PABAK and Intra class Correlation Coefficient. Interpreting ROC Curve and choosing the cut off. Critical review of Diagnostic Test.